NEWARK – Renee Lamarre-Sumners walked slowly into a federal courtroom. Her steps were labored, her face gaunt, as her cancer-stricken body eats itself from the inside. It took all of the slight woman’s might to lug around her designer handbag as she settled down next to her attorney, Jerome Ballarotto. The frail former Trenton municipal judge, who was ousted from the bench in 2010 amid disclosures of financial issues, spent the night before her Wednesday sentencing in a hospital, getting treatment. The doctors wanted to keep her but she said she couldn’t stay. Now she sat in U.S. District Court wondering whether she would be sent to federal prison for extorting former clients who sought her help with immigration matters out of more than $17,000 over several years. The judge was more strident. “I don’t want this sentence to be misunderstood by the legal profession,” U.S. District Court Judge Stanley Chesler said. “Without blinking an eye, you’d be spending a year in jail” if it were not for her failing health. Instead, Chesler ordered Lamarre-Sumners to serve a year of house arrest and five years of probation. She must repay $33,050 in restitution to her victims and cannot work in the legal profession in any capacity. While New Jersey online attorney records show her license has been suspended. Lamarre-Sumners says she has surrendered her attorney license. As part of her sentence, she is also not allowed to work as a paralegal or provide legal advice while she is on probation. 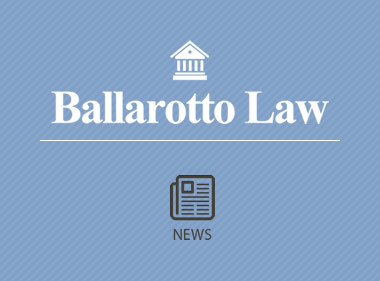 Ballarotto convinced the judge to spare his client from federal prison, saying it would be akin to a “death sentence” for a terminally ill woman suffering from a host of diseases. The list of Lamarre-Sumners’ health complications includes lymphoma, seizures, a brain aneurism, a heart attack and an unspecified “neurological condition,” caused by her myriad bouts of chemotherapy and radiation, that contributed to the decision to bilk her clients,Ballarotto said. The well-known defense attorney said his client’s conduct was “inexplicable,” considering her contributions to her community as an attorney. Those impacted by the former Trenton judge’s decisions include Martha Franco Merino, an undocumented immigrant who sought out Lamarre-Sumners for help obtaining legal status in the U.S.
Merino was accompanied by her children to court. She spoke through a translator, recounting the pain Lamarre-Sumners’ actions wrought on her family. “I had placed my confidence and trust in her in hope she would help me get my papers,” she said. “My children have been victimized. I had to sacrifice food” to pay Lamarre-Sumners’ fees. “All of this has damaged my whole life,” Merino said. Despite her anger, Merino said she felt bad for Lamarre-Sumners, wishing her well as she battles health problems. “I hope the result may be a positive one,” Merino said. For her part, Lamarre-Sumners was too weak to speak. She had her attorney read a statement on her behalf in which she apologized to her victims. She pledged to “pay back every cent” of restitution to her victims, whom she admitted she failed. “I am so ashamed,” said Lamarre-Sumners, once a rising star in the legal community who had been appointed to the bench by now-convicted former Mayor Tony Mack. Now she joins him in the inglorious pantheon of convicted felons.